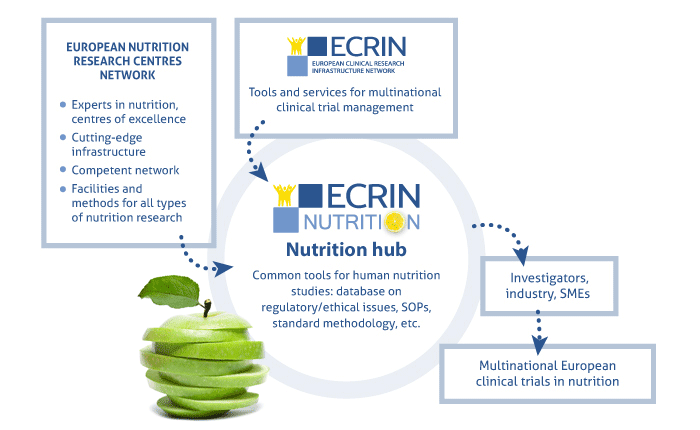 ECRIN Nutrition is a network of 80 European nutrition clinical research sites from 21 European countries. It is dedicated to performing clinical research in nutrition with the highest standards of quality, based on European and international regulations and guidance for clinical research. 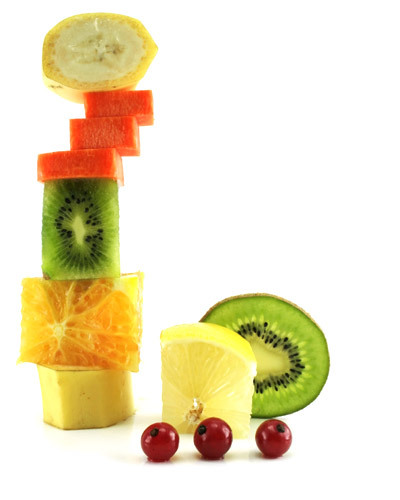 The objective of ECRIN Nutrition is to structure a European a network of human nutrition research centres. The network will promote, design, and conduct high–level, multinational nutrition clinical trials in Europe. 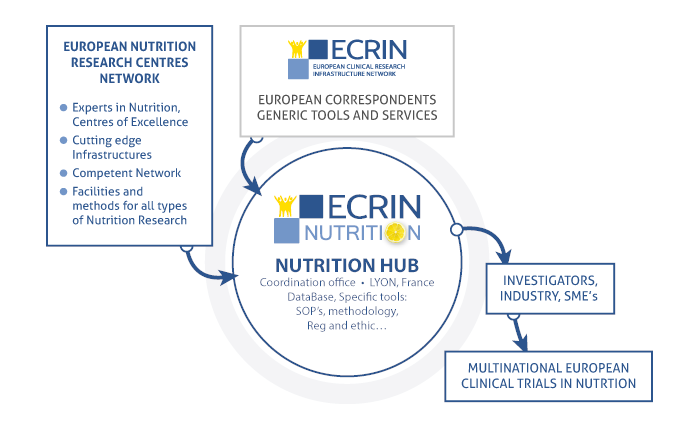 ECRIN Nutrition is a project of ECRIN (European Clinical Research Infrastructure Network), a pan-European infrastructure designed to support multinational clinical research. The main objective of ECRIN Nutrition is to structure a European human nutrition trial centre network. 1Establishment of a hub coupled to centres and networks, connected to ECRIN and its network of European Correspondents. 2Development and adaptation of common tools for human nutrition studies: a database on regulatory and ethical issues, harmonisation of data and sample collection, standardisation of investigation procedures, training for investigators, quality assurance and monitoring, and the development of a methodology taskforce. 3Use of this combined infrastructure to design and conduct multinational human nutrition interventional studies. Receive help to prepare your project, identify new partners, nutrition expertise, cost evaluation and methodological expertise from ECRIN Nutrition Hub. The Hub can put you in contact with ECRIN European Correspondents who are available in every country and who have expertise in ethical and regulatory requirements as well as all aspects of trial management. 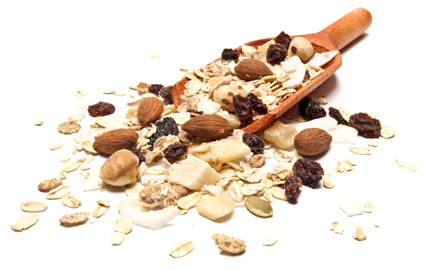 Regularly receive Network proposals to run multinational nutrition clinical trials. Support for Investigator Driven Clinical Trials. Support for EU Clinical Research applications or calls. Access to High Standard SOPs on Nutrition research methods. Promote your site as a member of a recognized European Network. After receipt we will include your Epidemiology or Translational research centre in the ECRIN Nutrition network database and you will receive all the relevant information. 1Development of and/or contribution to tools to facilitate multinational clinical research (on nutrition) such as a Regulatory & Ethical Affairs Database (called “CAMPUS”) and a repository of nutrition centres. 2Development of standard operating procedures (SOPs) in methods applied to nutrition research. 3The hub can provide investigators, industry, and small- and medium-sized enterprises (SMEs) with relevant information required to design and conduct multinational trials in Europe. 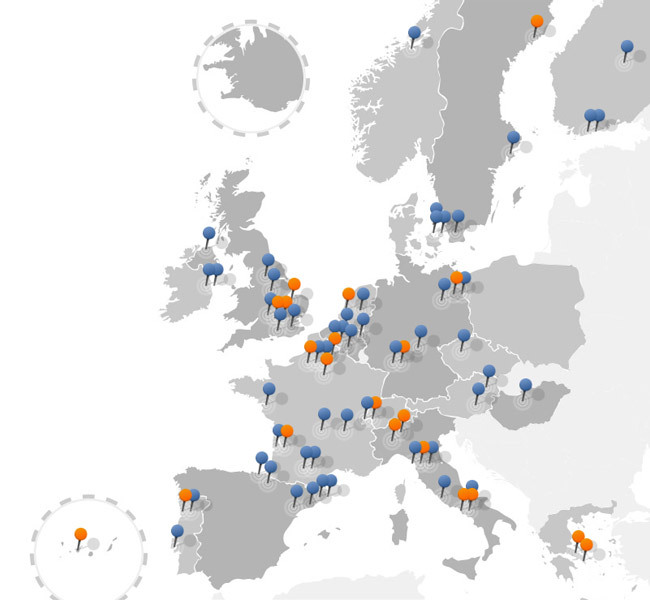 ECRIN Nutrition is a network of 80 clinical sites in 21 European countries. ECRIN Nutrition is hosted at the European Centre for Nutrition and Health (Centre Européen pour la Nutrition et la Santé, CENS) in Lyon, France; the coordinating centre is referred to as the "Hub"
ECRIN Nutrition is connected to ECRIN, the European Clinical Research Infrastructure Network; ECRIN Nutrition was developed as part of an ECRIN project (ECRIN Integrating Activity), funded by the European Union 7th Framework Programme (grant agreement number 284395). Integrating clinical research in Europe. The European Clinical Research Infrastructures Network (ECRIN) is a sustainable, not-for-profit infrastructure supporting multinational clinical research projects in Europe. Multinational clinical research is hampered by the fragmentation of health and legislative systems in Europe. ECRIN provides information, consulting and services to investigators and sponsors in the preparation and in the conduct of multinational clinical studies, for any category of clinical research and in any disease area. This is particularly relevant for investigator-initiated or small and medium enterprise-sponsored clinical trials, and for clinical research on rare diseases where international cooperation is a key success factor. ECRIN is based on the connection of coordinating centres for national networks of clinical research centres and clinical trials units, able to provide support and services to multinational clinical research. "By 2030 all Europeans will have the motivation, ability and opportunity to consume a healthy diet from a variety of foods and have healthy levels of physical activity, and that the incidence of diet-related diseases will have decreased significantly." Food production, human nutrition and the incidence of diet-related diseases are becoming increasingly important in our rapidly changing scientific, economic and societal environments. High quality diets and proper physical activity are the most critical determinants in human health and for the quality of life in an ageing society. The Joint Programming Initiative A Healthy Diet for a Healthy Life (JPI HDHL) aims to coordinate research on the impact of diet and lifestyles on health, significantly contributing to the construction of a fully operational European Research Area for the prevention of diet-related diseases and strengthening the leadership and competitiveness of research activities in this field. organization of consensus statements about clinical care and care quality control. ESPEN sponsors a journal and for which it assumes editorial, as distinct from publishing, responsibility. The main objective of DEDIPAC (Determinants of Diet and Physical Activity) is to understand the determinants of dietary, physical activity and sedentary behaviours and to translate this knowledge into a more effective promotion of a healthy diet and physical activity. The DEDIPAC KH is a multidisciplinary consortium of scientists from 46 research centres in 12 countries across Europe. EuroDISH aims to strengthen research and improve knowledge for public health nutrition strategies across Europe. To this end, it is assessing the needs for food and health research infrastructures and will provide recommendations for the European Strategy Forum on Research Infrastructures (ESFRI) and other stakeholders. The mission of ESFRI is to support a coherent and strategy-led approach to policy-making on research infrastructures in Europe, and to facilitate multilateral initiatives leading to the better use and development of research infrastructures, at EU and international level. Essential for the understanding of the diversity of human diseases, biological samples and corresponding data are required for the development of any new drug or diagnostic assay and are therefore critical for the advancement in health research, ultimately leading to personalised medicine. Biobanks also will provide key information on the influence of environment and lifestyle on health, constituting a basis for disease prevention programmes and the improvement of public health. Hence, a close collaboration between researchers, biobankers, patient advocacy groups, and the biotech and pharma industry is essential in addressing both common and rare diseases. Keeping in mind the need for better prevention, diagnostics, and therapy for all, we are aware that every single sample impacts our ability to comprehend disease and, thus, achieve our goal for a healthier life. EATRIS provides a new development pathway, open to researchers and companies in need of support for advancing biomedical innovations. EATRIS comprises over 70 leading academic institutions across Europe, each renowned for its individual and high-end research facilities. Building a sustainable European infrastructure for biological information, supporting life science research and its translation to medicine, agriculture, bioindustries and society. ELIXIR unites Europe’s leading life science organisations in managing and safeguarding the massive amounts of data being generated every day by publicly funded research. It is a pan-European research infrastructure for biological information. Instruct is a pan-European Research Infrastructure providing expertise and access to high quality instruments for structural cell biology researchers. Access is free at Instruct Centres and support for travel, accommodation and consumables may be available. Proposals are being accepted now for access projects requiring one or more Instruct facilities. 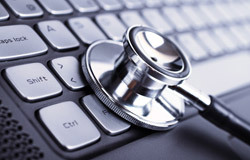 The mission of BioSHaRE is to ensure the development of harmonized measures and standardized computing infrastructures. BioSHaRE is a collaborative project that has been developed by investigators of a large range of disciplines. The collaborative activities of nine specialist work packages will enable the achievement of the project. In order to achieve its objectives BioSHaRE will work in close collaboration with partner legacy biobanks. 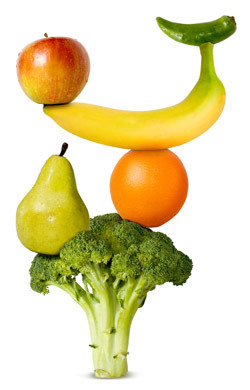 FORCE is a national clinical network specialized in the study of obesity and related-diseases. The founding members of FORCE (Pr Laville (Lyon), Pr Clément (Paris) and Pr Langin (Toulouse)) have worked together for over 15 years (more than 60 common scientific publications), notably for several European multicenter projects (NUGENOB, DioGenes), bringing them national and international recognition. FORCE includes three cities: Paris, Lyon and Toulouse, and also integrates the 37 French Specialized Centres in the treatment of Obesity (CSOs). 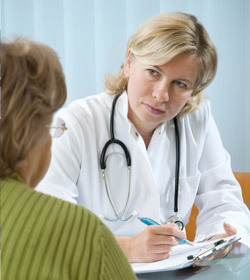 Clinical and research activities are conducted both in hospital departments (IOC, IHU-ICAN, CIC, CRNH) and in research units (INSERM-University), allowing a unique powerful national investigation capacity in Nutrition. By combining basic research, clinical research and care, FORCE promotes the development of large national and European research projects, to enhance study of mechanistic pathways related to obesity and its comorbidity, potentially leading to the development of new therapies.